Undergraduate degree tuition fees in the United States range from $5,000 to $50,000 per year, which results in a large number of students graduating with around $132,860 worth of debt, so there's no doubt that higher education comes with a hefty price tag. Federal student loans are one way to meet the cost of tuition fees, rent and other educational expenses. Different types of federal student loans are available, and they depend on your particular circumstances. Federal student loans are loans from the government to help meet the costs of study, including tuition fees and rent. Federal loan servicers are companies that handle billing, repayment, loan consolidation and other tasks on the government's behalf. As well as helping you meet your educational expenses throughout college, federal student loans offer many benefits compared to other funding options. For starters, the federal student loans interest rate is usually lower than the interest rate on private loans and much lower than credit card interest rates. Another perk of federal student loans is that in most cases you don't have to go through a credit check or get a cosigner, which means the burden doesn't fall on family members to cover loan payments if you can’t. You don't have to start making repayments on your federal student loan until you have graduated from college or dropped below half-time. The terms of your federal student loans repayment depend on your loan servicer and the terms of your original loan agreement, so contact your servicer if you're unsure. If you struggle to make your federal student loan repayments when they are due, you may be eligible for a flexible repayment plan, deferment, forbearance or even cancellation of your loan. Additionally, if you work in a particular sector, you may be able to get part or all of your federal student loans cancelled. Under the William D. Ford Federal Direct Loan Program, four types of Direct Loans are available: Direct Subsidized Loans, Direct Unsubsidized Loans, Direct PLUS Loans and Direct Consolidation Loans. Direct Subsidized Loans are available to undergraduate students in financial need to help them meet the costs of higher education. Direct Unsubsidized Loans are also available to undergraduate students, as well as graduate and professional students, but applicants don't have to show financial need. 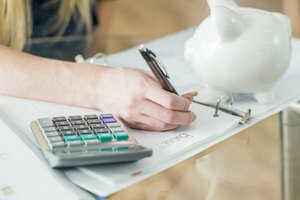 Direct Subsidized Loans and Direct Unsubsidized Loans are sometimes referred to as Stafford Loans or Direct Stafford Loans. The amount you can borrow on a Direct Subsidized Loan is decided by your school, and it may not be greater than your financial need. Interest on a Direct Subsidized Loan is paid by the U.S. Department of Education. Your school also decides the amount you can borrow on a Direct Unsubsidized Loan, but it is based on your cost of attendance and any other financial aid you receive. You must pay all interest on a Direct Unsubsidized Loan. For Direct Subsidized Loans and Direct Unsubsidized Loans first disbursed on or after July 1, 2018, and before July 1, 2019, the interest rate is 5.05 percent for undergraduates. For graduate or professional Direct Unsubsidized Loans first disbursed on or after July 1, 2018, and before July 1, 2019, the interest rate is 6.6 percent. 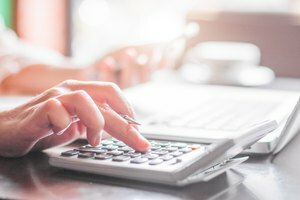 The charge for a Direct Subsidized Loan or a Direct Unsubsidized Loan is a percentage of the total loan amount and varies depending on when the loan is first disbursed. If your loan was first disbursed on or after October 1, 2017, and before Oct. 1, 2018, the charge is 1.066 percent. If your loan is first disbursed on or after October 1, 2018, and before October 1, 2019, the charge is 1.062 percent. This charge is proportionately deducted from each loan disbursement. Students typically receive their federal student aid in two or more disbursements. A first-time borrower who receives a Direct Subsidized Loan on or after July 1, 2013, may receive Direct Subsidized Loans for no more than 150 percent of the published length (in academic years) of her program – known as the "maximum eligibility period." However, there is no such time limit on Direct Unsubsidized Loans or Direct PLUS Loans. Direct PLUS Loans are available to graduate or professional students, as well as parents of dependent undergraduate students, to help cover the costs of educational expenses not covered by other types of financial aid. PLUS Loans have higher interest rates than other federal student loan programs, may be subject to origination fees, involve a credit check and often require the first repayment to be made as early as 60 days from the loan's disbursement. Direct Consolidation Loans let students combine more than one eligible federal student loan into a single loan with one loan servicer. The question most students want answered is, "How much can you borrow for student loans?" The amount you can borrow depends on whether you’re an undergraduate student, a graduate or professional student or a parent. Undergraduate students can borrow up to $5,500 per year in Direct Subsidized Loans or up to $12,500 in Direct Unsubsidized Loans depending on certain factors, including the year of study at the time of application. Graduate or professional students can borrow up to $20,500 each year in Direct Unsubsidized Loans. All applications for a federal student loans require submission of a Free Application for Federal Student Aid (FAFSA) form. Every school has its own loan application process, so ask the financial aid office at the school you are planning to enroll at for all the information you need about the process. The quickest way to complete your FAFSA application and get it processed is to register for an FSA ID. You can create this on the Federal Student Aid website. An FSA ID lets students and their parents access FSA resources online, change personal information and pre-complete a FAFSA on the Web application, using information from the previous year's FAFSA. To complete the FAFSA, you need your Social Security Number or Alien Registration Number if you are not a U.S. citizen, your federal income tax returns, W-2s and any other records of money you have earned. You also need bank statements, investment records and records of untaxed income. If you are a dependent student, your parents will also need to provide most of this information. When your FAFSA form has been received and checked, you will receive a financial aid offer from your school or college. This may include federal student loans if you are eligible. The offer will come with instructions for how to accept all or part of a loan. The next step is to complete entrance counselling, which ensures you understand your obligation to repay the loan and sign a Master Promissory Note to show your agreement to the terms of the loan. You will then receive your loan funds. 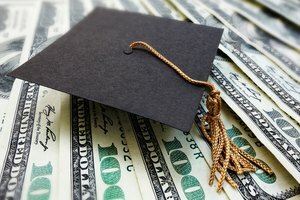 To be eligible for a federal student loan, you must be a citizen or eligible noncitizen of the United States, have a valid Social Security Number, have a high school diploma or a General Education Development (GED) certificate or have completed homeschooling and be enrolled in an eligible program. You must also maintain satisfactory academic progress and not owe a refund on a federal student grant or be in default on a federal student loan. If you are male and not currently on active duty in the U.S. Armed Forces, you must register or already be registered with the Selective Service System. 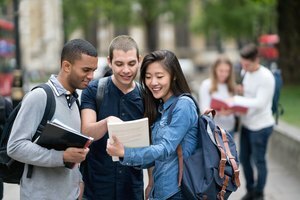 If you have a conviction for the possession or sale of illegal drugs for an offence that occurred while you were in receipt of federal student aid, you may not be eligible for future federal student aid. If this applies to you, you have to complete the Student Aid Eligibility Worksheet to determine your eligibility. In addition, subsidized federal student loans require proof of financial need. You can request to stop making repayments on your federal student loans for a limited or extended period of time either by deferment or forbearance. Generally, deferment is for people who are in school, serving in the military or in the Peace Corps. On the other hand, forbearance applies to people facing temporary financial hardship. You need to apply for deferment through your federal loan servicer. In order to qualify for deferment, you have to be in school at least part-time, unemployed for up to three years, receiving state or federal assistance, earning a monthly income of less than 150 percent of your state’s poverty guidelines, be in the Peace Corps, be on active military duty or be in the process of qualifying for Perkins Loan cancellation. If you have subsidized loans or Perkins Loans, you don’t have to pay the interest that accrues during the deferment period, but if you have federal unsubsidized loans, interest that accrues during the deferment period is added to your total loan balance, resulting in a greater amount to pay back in the end. If you are granted deferment, you can pause your loan repayments for an extended period of time. Forbearance stops loan repayments for a limited period of time. Unlike many deferments, forbearance requires the borrower to pay all interest that accrues during the forbearance period. You can get a mandatory forbearance if you're in a medical or dental internship or residency, qualifying for teacher loan forgiveness or active in the National Guard but not qualified for military deferment. If none of these apply to you, you can apply for a discretionary forbearance. It's up to your loan servicer whether to grant this or not. 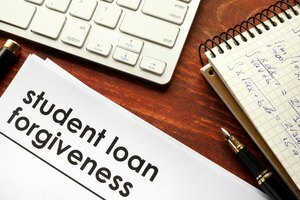 Before you request deferment or forbearance on your federal student loan, consider whether income-driven repayment forgiveness is a better option. This reduces your monthly loan repayments to a portion of your income, and makes your remaining loan balance eligible for forgiveness after 20 or 25 years depending on your plan. Another type of federal student loan forgiveness is Public Service Loan Forgiveness, which is available to government and qualifying nonprofit employees. Eligible borrowers can have their remaining loan balance forgiven tax-free after they make 120 qualifying loan payments (i.e. consecutive monthly payments for 10 years). To benefit from Public Service Loan Forgiveness, you must make payments as part of an income-driven repayment plan. Other federal student loan forgiveness options are career-specific. There are student loan forgiveness programs for teachers, lawyers, doctors and those serving in the military. Licensed teachers, nurses, doctors and lawyers in certain states may be also able to take advantage of state-sponsored repayment assistance programs. Student loans may be very beneficial for those pursuing further education, but they must be repaid. This can be a challenge for some people, depending on their financial circumstances. While considering your student funding options, you may want to think about whether you are eligible for student grants, such as Pell Grants (available through the U.S. Department of Education) or grants through your home state. Unlike loans, grants never have to be paid back. Gillespie, Claire. "What Are Federal Student Loans?" Synonym, https://classroom.synonym.com/what-are-federal-student-loans-13714918.html. 21 September 2018.